Glaucoma is regarded as a type of progressive optic nerve degeneration. A number of theories regarding the pathogenesis of this condition have been presented. These theories include the “mechanical theory” which describes glaucoma in terms of physical changes in the optic nerve due to high intra-ocular pressure (IOP), the “vascular theory” which centers around ocular blood flow and vascular dysregulation, the “biochemical theory” which is based on a number of biochemicals in ocular tissues causing GOND and the “genetic theory” which regards certain genes as the culprit in glaucoma causation. Some other relationships such as intracranial pressure, lymphatics and exposure to environmental factors are also being investigated in glaucoma causation. Glaucoma is currently being treated by medical, laser or surgical methods. Diverse classes of drugs are being used mainly to lower IOP, the main risk factor known. 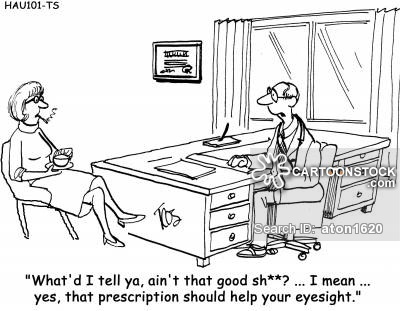 Among these pharmacological agents one natural source to control glaucoma has been marijuana. This agent is being discussed in this glog post as it is an interesting agent in the medical management of glaucoma. Marijuana as an IOP lowering agent was first reported in the 1970s. Mexican marijuana, containing 1.8-2.8% delta-9-tetrahydrocannabinol (THC), was found to consistently reduce aqueous production through the ultrafiltration mechanism. The maximum ocular hypotensive effect of 25-30% occurs between 60-90 minutes and the duration of action lasts for 3-4 hours. Thus, an individual has to smoke 8-10 cigarettes per day to achieve adequate IOP lowering. Apart from smoking, marijuana can be administered by oral, sublingual and eyedrop instillation. Oral and sublingual routes avoid the deleterious effect of marijuana smoke on the lungs, but are still limited by the other systemic side-effects. In a study conducted on glaucoma patients, who were offered THC pills and/or smoking marijuana cigarettes, 9 out of 9 patients discontinued use by either method within 9 months due to intolerable side effects. Since glaucoma is a lifelong disease, use of THC for prolonged periods of time is not a reasonable treatment option. Marijuana use is associated with cardiovascular changes such as tachycardia and lowered blood pressure (BP). Usually, these changes return to baseline within 3½ hours. Sudden precipitous fall in systolic BP have been reported in 18% of marijuana-naive subjects inhaling Mexican marijuana. Features of these syncopal-like effects include sudden fall in BP, lightheadedness, a faint and thready pulse, often accompanied by nausea and bradycardia. As most glaucoma patients are in the older age group, who already have a high propensity of falls, so feeling dizzy or uncoordinated is especially risky. Heart problems are also common in this age group, with marijuana induced tachycardia imposing a higher risk. Another aspect of lowered BP is reduced ocular blood flow, which could prove detrimental to the health of the optic nerve. 1. Weakening of the immune system, with decreased ability to fight infections. 2. Marijuana’s mood altering effects, such as problems with memory, thinking and concentration, prevent the patient who is using it from driving, operating heavy machinery and functioning at maximum mental capacity. 3. Marijuana cigarettes also have compounds which damage lungs and the brain in the long run. 4. Smoking is a major risk factor in the development of age-related-macular-degeneration, which can aggravate vision loss from glaucoma. It is also a risk factor in the development of cataracts. Manufacture of THC eyedrops is limited by low water solubility of the active ingredients preventing them from entering the eye. However, topical 0.1% THC in light mineral oil vehicles has been tried. The maximum ocular hypotensive effect was shown to occur at 6 hours with significant effect persisting for 8-12 hours. Recently receptors for the active ingredients of marijuana have been found in ocular tissues, pointing to a possible role of locally administered marijuana. Reports from brain research describe the protective effect of cannibinoid components of marijuana on nerve cells. Incidentally, such nerve cells are also present in the optic nerve where these compounds could prove useful as neuroprotective agents. In summary, while marijuana or its active compounds may have potentially useful effects in glaucoma management, further research is required to adequately understand the usefulness of this herb. 1. Meritt JC. Glaucoma, hypertension and marijuana. Journal of the National Medical Association. 1982;74:715-6.